Where, exactly, is Party on The Avenues this year? Party On the Avenues is at the intersection of Patterson and Libbie Aves. Libbie Avenue will be closed from Patterson to Guthrie. What are the times for Party On the Avenues? It's free to attend, though food and drink is not. There will be an ATM on site and some vendors may accept credit cards. Absolutely! We've expanded the kids area with great things for the little ones. We have the Kids Zone with jugglers, face-painting, bounces, games and more. Come early though, as some lines can get long. We love pets and you should bring them. Please make sure your pet is leashed and you have the appropriate "clean up after them" supplies. What about those golden beverages? There will be several brands of beer/wine available. Make sure you bring your ID and a designated driver...Please Drink Responsibly. Also, outside alcohol and coolers are NOT allowed and will be confiscated. Then we will get wet! 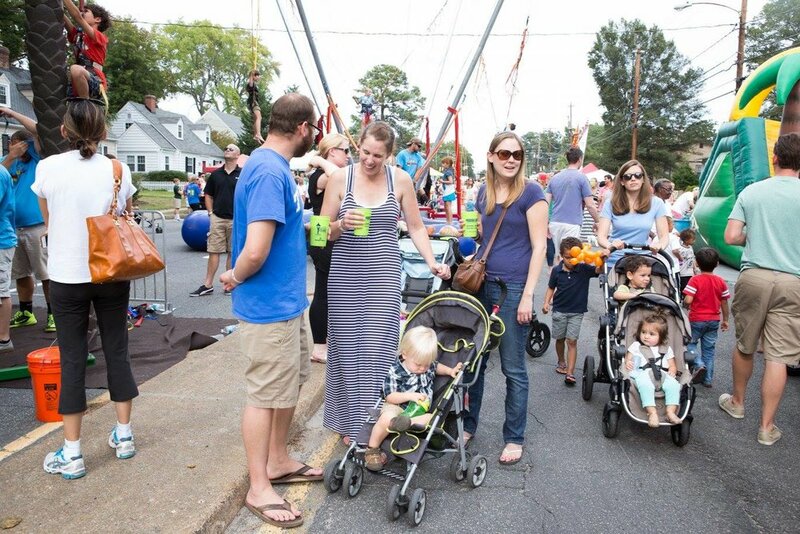 Unless it is unsafe, Party On the Avenues is a rain or shine event! Really? It's not that kind of festival. Leave them at home.